Is Your Vacation Rental Company Set for LinkedIn Success? 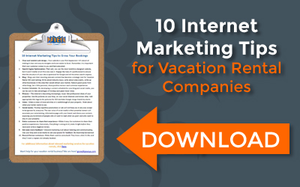 For vacation rental companies, ignoring LinkedIn means missing out on valuable business. Don’t buy it? Check out “Vacation Rental Companies Can’t Afford to Ignore LinkedIn” and discover why it’s true. To reap the benefits of LinkedIn, vacation rental professionals need to set their profiles and company pages up for success. Check out these seven steps to LinkedIn success for vacation rental companies. Complete your individual profile with as much information as possible. It takes some time, but it is important for your success and your company’s success on LinkedIn. When inputting information on each position you have held in your career, focus on listing and describing your accomplishments more than describing your job function. Be sure to include your skills in the “Skills and Endorsements” section. This way, your connections can endorse you for the skills you list. Also, when editing the “Contact Info” section of your profile, include a link to your company’s website. Vacation rental SEO tip: When adding your company’s website to your LinkedIn profile, choose the “Other” option rather than “Company Website.” Then, in the “Website Title” field, include a term people might use to search for your services in search engines. For example, if you are a vacation rental company in Destin, FL, you might type “Destin Vacation Rentals.” Finally, in the “URL” field, paste the URL of your company’s website. Placing a relevant keyword in this link may help your search engine optimization. Complete your company page with as much information as possible. Filling out every field will make your profile more search-friendly on LinkedIn and may help your company’s LinkedIn profile rank well in search engine results. Fully describe all the benefits your company provides. Also, upload your company logo and an attractive image where directed. Encourage each team member at your company to create a LinkedIn profile as described in step 1. Remind them to list your company as their current employer. Each person will then show up on your company page as an employee, and the public will see you have a highly skilled team. Each day, post updates to your company profile. These updates should include links to your company’s blog posts as well as links to information that would be helpful to your target audience. This may include things like local events and tips for choosing a vacation rental. Focus mostly on providing helpful information rather than posting promotional information. People appreciate and share helpful information more often than promotional information. This is a good vacation rental social media practice for all your social networks. Using your personal profile, connect with people in your industry. Connecting with colleagues, friends and vendors is a good way to start. Additionally, connect with influencers in your industry. This may include people who are nationally known for their industry success and advice. Using your company profile, follow other companies in your industry, including competitors, vendors, partners, and companies in your target markets. In addition to posting your own content, periodically share good content posted by others. Using your personal profile, share content individuals have posted. Using your company profile, share content other companies have posted. Become a member of LinkedIn groups related to your industry. Participate in conversations and answer questions regularly. These seven steps will set you up for success with LinkedIn. Once you’ve established a foundation, you’ll be able to use LinkedIn as a strategic vacation rental Internet marketing platform. This entry was posted in Blog, Content Marketing, Real Estate Marketing, SEO, Social Media Marketing, Vacation Rental Marketing. Bookmark the permalink. ← Do These Factors Improve Search Rankings Despite What Google Says?